Born: May 8, 1853 in Sandwich Ma. 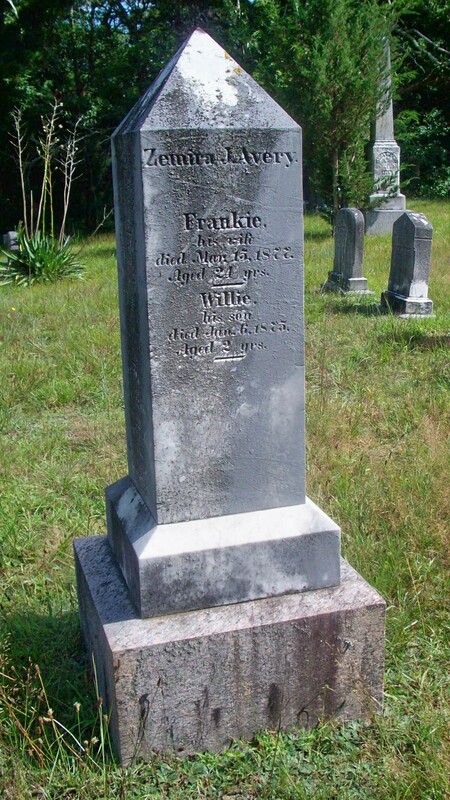 Died: March 15, 1877 in Sandwich Ma. at 24 yrs. Married: November 12, 1871 in Sandwich Ma. To: Zemira J. Avery; (1849 – 1896) (Gilbert Ellis Avery & Reliance Taylor); Zemira married (2) Sarah Frances Pulsifer (1852 – ?) (Joseph Pulsifer & Elanora (–)) in Pocasset Ma. on December 1, 1878. 1. Williard/Willie J. Avery; (October 30, 1873 – January 6, 1875); Williard/Willie died at 1 yr, 3 mos. & is buried in Pocasset Cemetery.